Nintendo of Europe is now into the third day of deals in its four day discount event across the Wii U and 3DS eShop stores. 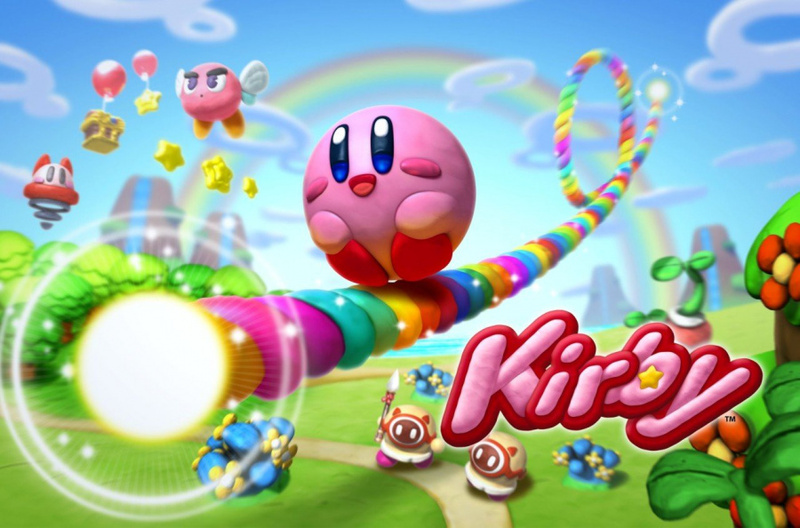 The first two batches have featured Mario and Donkey Kong franchise releases alongside thoroughly decent alternatives, and on the third day it's the turn of Kirby. As before there are two games reduced on the Wii U and two on the 3DS - details are below. As with the previous deals these are short term, ending at midnight UK / 1am CET on 30th November. Will you be downloading any of these games while they're on offer? Codename STEAM is a fantastic game, get it! @Grumblevolcano got steam for £5 from Amazon least week, it's always on sale. These are terrible sales the. Kiby for £20 and I would have been sold as it would have been the same price I could get it retail, but I have been starting to buy digital recently. 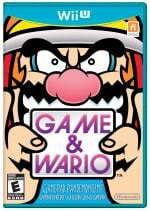 it's the only game so far on my wish list for the 3DS. Oh well. Atrocious. I bought Rainbow Painbrush for less than that when it was released, like £18 and I bought Codename: STEAM a few days ago for £5 from amazon. Wario would be proud of these prices. It's pretty embarrassing when retailers and amazon store sellers can beat the price of the Big N and do so with physical versus digital. I guess the way Nintendo looks at it is they still profit from the retail sale but some consumers are too lazy to shop around, order, or even the drive to the store. The only justice I see is if someone prefers digital, or can't get the physical copy due to availability, or they don't have access to transportation to get a physical copy. There is also the idea that Nintendo does not want to sell at a lower price than retailers because they need someone to sell physical copies and to fill that role and under cutting the retailers that sell your property might influence them not to. There's also the security of Nintendo Network ID storing your purchase of the title and can download games again even if you replace your system, and who knows you may be able to download games on future systems although I doubt that. I'm still aggravated about the pricing. Oh well. I'm sticking to physical, feels more safe? Don't know why but it does. Been wanting to play Triple Deluxe and Rainbow Curse for awhile now, so as an American, I'm jelly. But get CodeName S.T.E.A.M. if you don't have it yet! It's fantastic! It's on like Donkey Kong! Definitely getting Codename S.T.E.A.M. That's a game that I've never even seen sold in physical format anywhere in Finland so that rarity is going to the shopping list Directly. I suppose that leaves Zelda and Samus games for tomorrow. Nintendo should do a Christmas sale with the deva where most of the entire eshop is in discount, including the best stuff from DSiWare. @DiscoGentleman Still not competitive relative to ATLUS sales at up to 80% off like what happened with SSQ/EO Untold. More downloadable retail games. Nothing of interest for me. Hope we get some eshop only games tomorrow. Retail prices of these games are lower in other stores. Got wonderfull101 yesterday for 14.99euro. Nintendo being to greedy. I don't think one can compare Nintendo selling their games digitally and various retailers, as Nintendo never have the problem of getting rid of stock, which often is the reason for those ridiculous low prices you sometimes get at said retailers. I agree it would be nice if they could generally lower their prices on games that has been out for ages, but that doesn't seem to be their policy (I hope they have thought this through from their own business point of view), so from that these are great prices for, mostly, quality games. I also highly recommend Codename STEAM! But what about todays Wii U games, are they worth getting? So yeah, I got Kirby for £13 new a few weeks ago and I held off Wario because even though it was £15 I felt it was too pricey for that game. Btw Kirby is a must have if you can find it for less than £20...which anyone can. You know what I would paid £23 on? Maybe Bayonetta 2 or Project Frame (who else is gonna buy that now?). I can't see why they haven't done regular downloadable games or Virtual Console titles. At this stage Nintendo should be doing more for us who have stuck with them. I honestly wonder if anyone high up at Nintendo actually checks what their games sell for in the real world. Pretty much given up hope of any VC or eShop only games for Day 4 now. You guys forget that those are Europe-wide discounts. The UK is one of Nintendo's worst markets within Europe, which is why their games tends to get cheap pretty quickly, there. That's not the case in most of the rest of Europe, though. That aside, they should update their currency conversion rate. The € prices are a lot more attractive than the ones in £. All this moaning... I understand that you can get games for dirt cheap on other systems eShops, but that's not how Nintendo do it & that's just it. Somebody, somewhere must be paying full price for these titles digitally, or they'd change their pricing structure pretty quickly, I can tell you that. Whether you wanna pay it or not is up to the individual, but in my experience games from Nintendo are generally quality & generally worth the initial asking price. Looking at other platforms digital stores, then ok these don't seem particularly generous. But we're on Nintendo eShop, for Nintendo games, they are obviously able to sell these games at the price they do or they'd change, so a discount on that price is still a discount, & somebody somewhere will take advantage & be glad of it. May I ask where you got Wonderful 101 from? Looks like Kirby n Steam I'll get this time . 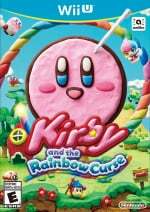 Kirby and the Rainbow Paintbrush Amazon £22.20, and you can trade it if you get fed up having to play it on Nintendo's third console, the gamepad. These sales should be the standard price for the games on the eshop. So who wants a guess at what's next for the last day of the deals ? For the 3DS I'm guessing Mario and Luigi Dream Team for £25 and Mario Sticker Stars for £25. They may think it will feed sales of the M&L sequel as it combines both elements. I'm not up with the WiiU so I wont guess. Pilotwings is still £39.99 in the eShop. That has to be the biggest price joke there. I have never even seen it that high at retail. That should have gone to £15.99 with the others to boost the number of games in the Nintendo Selects range. "This eShop 'sale' is a sham and a fraud and a sham! There's been a deliberate and scurrilous attempt to sabotage this high-profile eShop sale in Europe. How dare you bring shame on this celebration of games!" Slightly modified quotes from Father Ted but it rings true. This "sale" has been pathetic. Way less games, less discounts, shorter availability times, both daily and overall. Nintendo are stingy gits, they won't give us anything unless they feel compelled to do so. To be fair, they don't have to have a sale at all. I think the problem is not in the sale itself, more that the price of the digital copies of the retail versions in the eShop are far to high to start with, so even if they have a sale you can still get it cheaper retail. Pilotwings is a perfect example of this, its a £15 game at best, but its £39.99 on the eShop. Nintendo games were never cheap. And you say Pilotwings is a 15 game at best? By that logic smash bros is 5 at best yet the price is way higher. I could live without the sales and if there is some like this im glad. There are upsides and downsides for both retail and digital copies and the price doesn't go in any category. @Funem We already got Mario, Donkey Kong and Kirby offerings, so I'm quit sure they'll end this with Zelda. That by the way is not all of the discounts. Now for the Europe Cyber sale. Shouldn't take me long. By the time the final "discounts" arrive tomorrow 12 of the 16 offers will be expired. Ironically, this is one of the reasons why Nintendo games are usually the highest priced used games. @iaLgan I'm talking about PilotWings being £15 at best now. It should have become that when Nintendo put newer titles into the Nintendo Selects range. Its no longer a £39.99 title, its one of the first on the 3DS console back in 2011. You can buy it retail for £10-15. Not sure how you get Smash Bros being £5 using the same logic. Code Name S.T.E.A.M sounds interesting. Judging from the demo this is a pretty good game. Unfortunately, I'm not into this kind of genre but some might like it. And I think Europe didn't get the retail release of the game (though if is otherwise can somebody correct me please?). Not every1 can buy those games in markets.And if goin for amazon or ebay you still wait for delivery, pay extra for delivery and the wait. You gave example Pilotwing fine i will give you my example Donkey kong also old game price 39.99euro in eshop with sale was 23.99euro. Even without the sale it's still faster for me to get it for 39.99. Looked amazon 34.99 + delivery pay 2euros and 7 days wait. If i look at my countries market prices it's 45-50 euros so. Old or not it's not how the price should be decided. For time i spent with most of my resident evil games or since it's nintendo let's say pokemon games the value i got and still getting i should have payed like 200euros or more for those games even if their old. @KTT No, Europe got a physical release for Codename S.T.E.A.M. I have a copy right here. @iaLgan @Wouwter Ah! Thanks for the info! As usual Nintendo have no idea how to price their games in a sale. People won't buy at these prices when they can get physical copies for the same or less. The games so far have been available for same or less at different times from some retailers even if not available right now. If these were priced at say £15-20, I suspect they would sell much better. Look at the sale prices we've had for Capcom, Ubisoft and Bandai Namco. I would have bought several if priced right. Hopefully we'll have some decent non-Nintendo eShop sales at Christmas. Since it cannot be said enough: these "sales" are more expensive then regular retail prices. Wow, we're getting shafted compared to the US sale. These prices are, once again, terrible. Not only that but it's only been reasonably big 1st party games on sale - no indies, no VC...very disappointing. It was from a local toyshop (here in holland) called "InterToys"
@DiscoGentleman Yes, pre-order and initial prices can be some of the most competitive around for the AAA releases. Starfox is up for £29.99, that's 25% off of the RRP. Not sure that that will be one of the games to hold its value - it might. Prices are all over the place. Splatoon sells frequently for £25 or less. Mario Maker has been found for under £30. But, once those initial stocks are gone, the prices will increase again. Digital is much less competitive, but there are still some stores that undercut normal Nintendo prices by a fair margin. Games that sell particularly poorly (whatever their quality) get discounted much more heavily and much more quickly - CodeName Steam and Chibi Robo come to mind. You can pretty much ignore the RRP. I wonder if we should just give up on Black Friday as a concept as it just doesn't fit into the fiscal/trading calendar for most companies in the UK. Really, all we've seen is older stock at prices that you'd normally expect to pay. You can get the decent deals at other times of the year so Black Friday seems a non-event imho even though Amazon is claiming the best day on record. Well, I did buy some water filters for 25% off at £4.50. Also got a magnet sheet from the Nintendo Store for 50p. That's it though. Whenever you ask them in GAME they say the website is run by another company. @ULTRA-64 "Mockery of a sham......."
The lack of indies in the European sale doesn't surprise me actually. The only reason indies got on board with the NA sale is likely because of Damon Baker pulling a few strings. Otherwise I'm not sure there'd be any indies in the sale. I wouldn't be surprised if Baker tried to get NoE to get some indies in the sale, but failed. Wouldn't be the first time NoE has failed to cooperate on that - remember the Humble Nindie Bundle? Honestly, it's time NoE gets their own indies guy that works closely with Damon Baker. Now, as for this sale, it's possible the scenario didn't happen because NoE actually threw the sale together last minute in response to NoA, who announced their sale quite a while ago. Another day another 4 games I own,BTW after a couple searches you could find all four of these under 20 quid each. That screams "Black Friday sale" just as much as Chapter One-Scrooge screams generosity. It's very rare for Nintendo to have sales on virtual console games. I'd like to see more of them discounted. Playstation Store sells PS1 and PS2 games for an absolute steal in their sales. Nothing for me yet. Let's see the final ones in a few hours... I guess Zelda? The only game I was thinking of Yoshi but in the price ~20 to 25 euros.